When I first met Jack Kruse, he stroke me as quite an unusual character. Red-tinted glasses, purple clothing, purple shoes, firm handshake and most and foremost, unusual perspectives on health. We met at the Biohacker Summit in London 2016 and had quite an engaging conversation that Jack even described in his summit report. 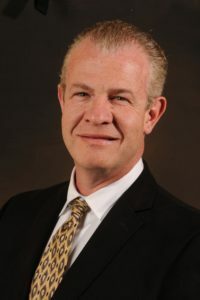 Dr. Jack Kruse is one of the globe’s leading Quantum Health experts and with a vast knowledge on quantum biology and the underlying workings of how our bodies actually manage to stay alive. He’s also authored the masterpiece Epi-Paleo Rx: The Prescription for Disease Reversal and Optimal Health. Ever since London, I wanted to have him on the Flowgrade Show and I am very excited to finally present him to you. Because Jack says a lot of high-level things, I will cover some of the presented topics such as blue light, red light, chronobiology and more in more detail in the near future. I’ve already written before on topics such as mitochondria and cold thermogenesis but they also deserve more attention. In this episode with Jack, you will learn how to produce more flow, reduce inflammation and live longer by upgrading our mitochondria. Jack goes into detail about how light is hydrating our cells, why the eye is the most important organ to tell the time, why astronauts are in big trouble and why you should consider skiing naked. I recently recorded an extremely interesting podcast with Anja Leitz (in German), where we talked extensively about our mitochondria and how the cold and a DHA-rich diet influence our body. I find it very interesting to look at how light, cold and diet affect the aging of our cells, from another perspective with Dr. Kruse. He is highly entertaining one of a kind character with tremendous knowledge. I hope you’ll enjoy it as much as I enjoyed recording it! During the episode, Jack and I talk about skiing since I am recording it in Austria on a ski adventure. Jack challenged me after the episode to ski down the mountain only in my underwear to get the full effect of sunlight combined with the cold exposure. Guess what. I did it! And we made a challenge out of it. If you are in an environment with snow or ice, dress down to your undies, go outside and have someone take a video of you. You can ski, ice skate, sled or just perform a snow angel, this is up to you. Then upload the video with hashtag #undiesonice on Instagram, Twitter or Facebook and help us raise awareness for the importance of sunlight and cold for our well-being and for fighting disease and aging. To encourage you even more, we are giving away among all participants an entire box full of biohacking stuff from Flowgrade worth 99 Euros. 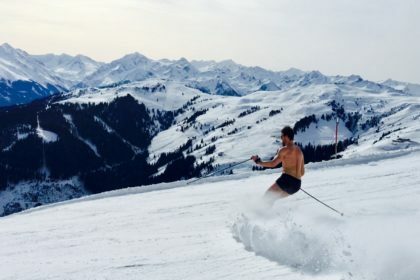 So again… If you want some inspiration, then you can see me do the challenge and ski down an entire mountain only in my underwear here (LINK COMING SOON!). 23:00 Should you wear sunglasses while skiing? If fish oil is in SN1 or SN3, it can cause inflammation. We need SN2. The brain needs that constant connection, otherwise it can’t tell proper time. DHA is a quantum lipid. Food is inconsequential when you understand how important light is. Each cell in the brain has in average about 3600 mitochondria. People in bad-lit environments usually can’t sleep well. All food is programmable electrons. Mitochondria get the light information from the food and generate energy. The concept of time is created meaning it’s not reality. The eye clock is the single most important part of your body. Going to Mars is going to put humans at tremendous risk. German engineering isn’t better than evolutionary engineering. Optimal health is a choice. Being like the sphinx is one of the best things to start to improve your flow. Alexander Wunsch is my brother from another mother. You can listen to the episode on this website, download it for free on iTunes (along with all the previous episodes) or watch it on our YouTube channel. I’ve listened to almost every podcast that Jack has been on and this was one of my favorites. Max, you asked some great questions and really dug in to the science of it in a way that anyone could understand. Great job. You coming back to paleo f(x) this year, Max?